My Bargain Basket: Walgreens: Keebler Peacoan Sandies Cookies 9.5oz $0.50! Walgreens: Keebler Peacoan Sandies Cookies 9.5oz $0.50! 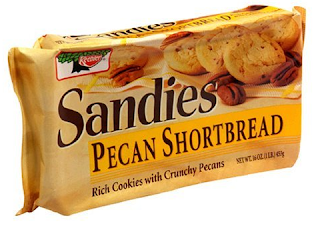 There is a great new coupon available for $1 off Keebler’s Pecan Sandies cookies 9.5oz or larger (IE) (FF)!